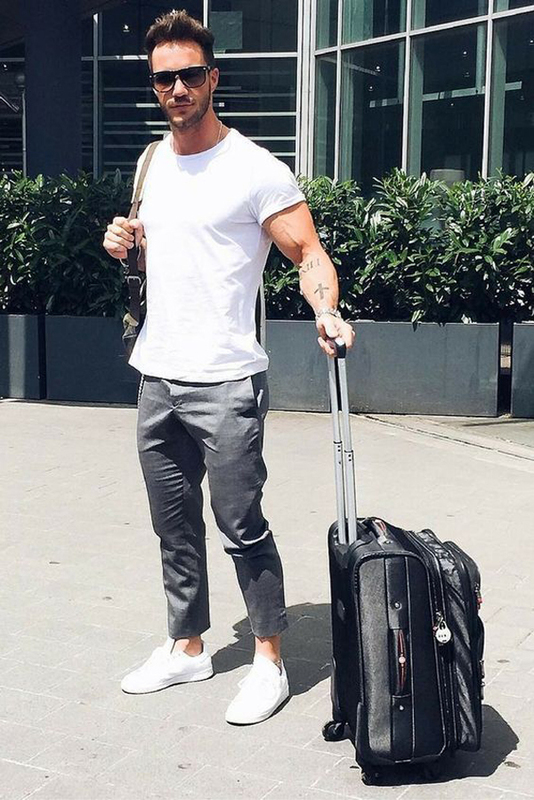 Are you currently planning a trip or want to go somewhere? 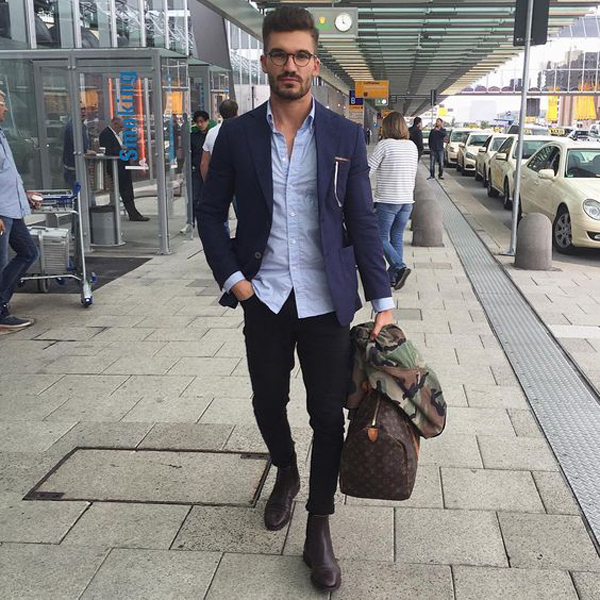 You should start looking for the coolest and trendy airport style reference. 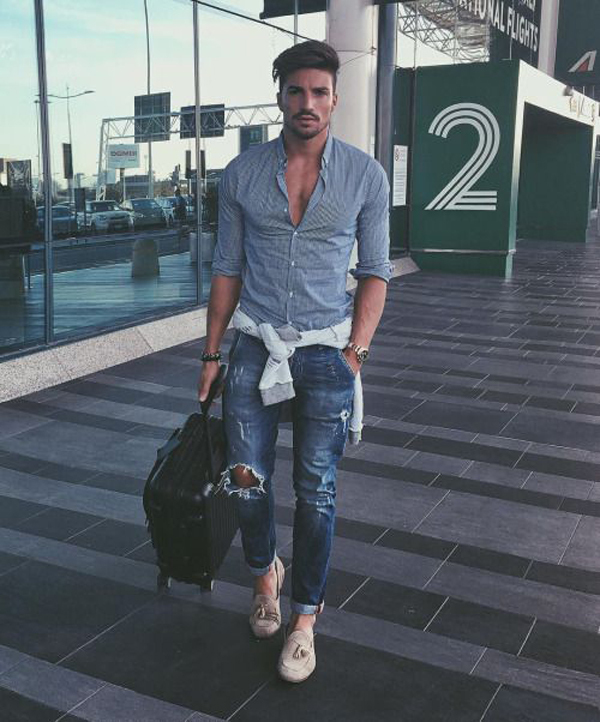 This time make the trip with friends to be a trend and that is the main reason many men choose it over the holidays. 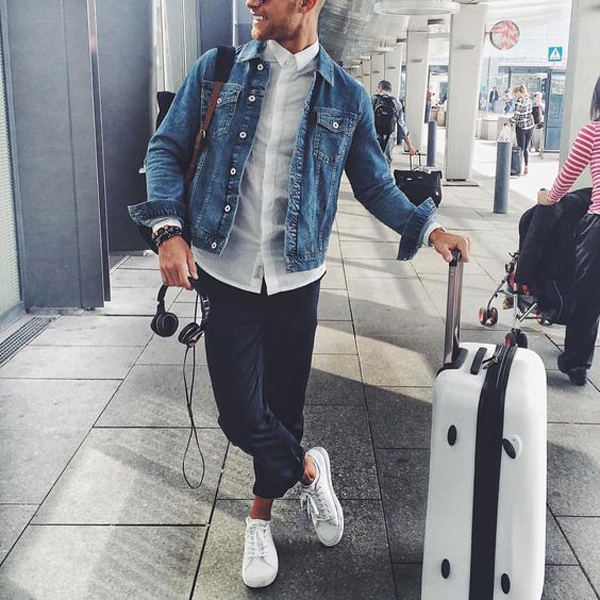 Especially in this month is the best season to travel because in various parts of the world the air began to warm and winter is past. 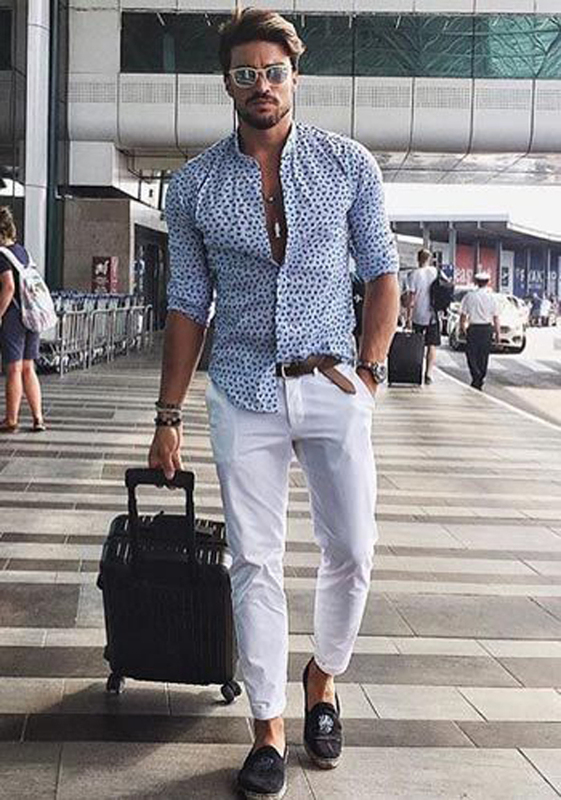 In addition to following the trend, there are many reasons to travel but the most important aspect is still look fashionable. 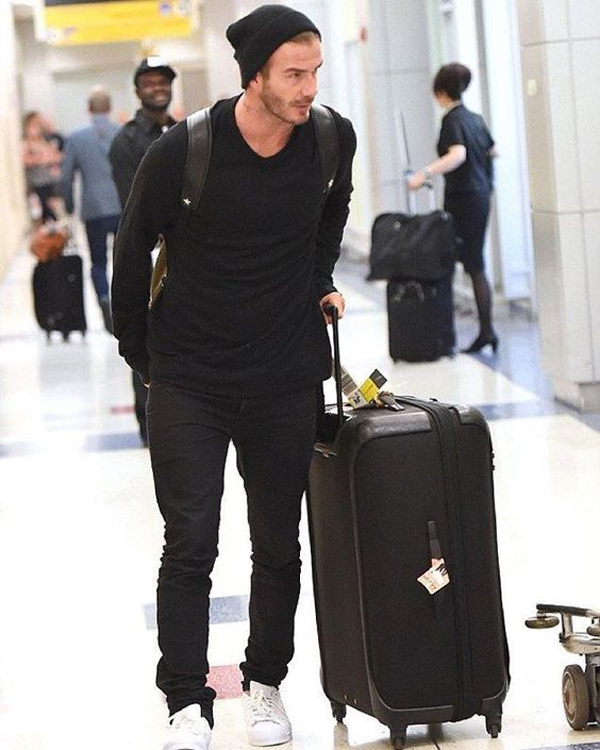 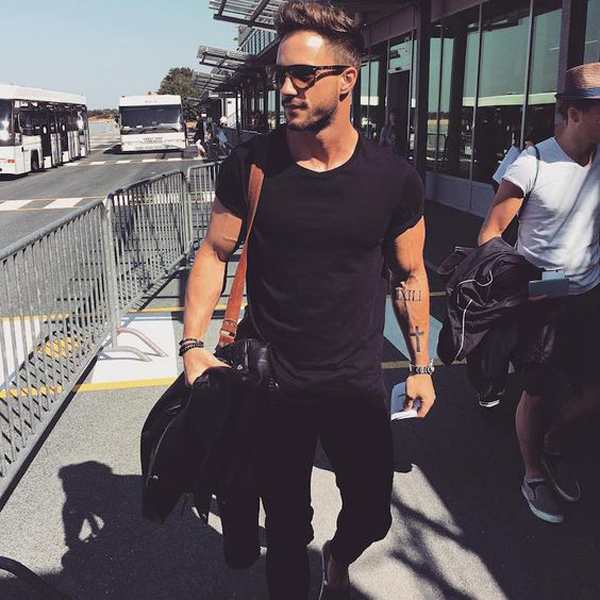 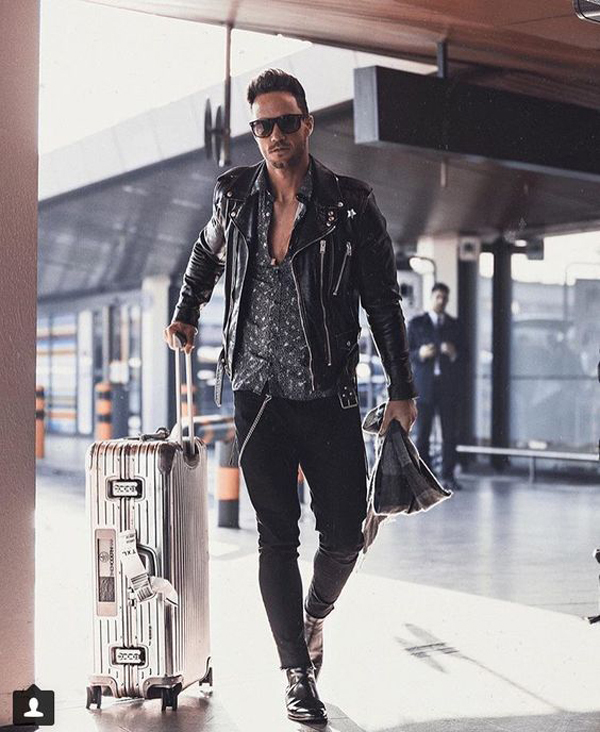 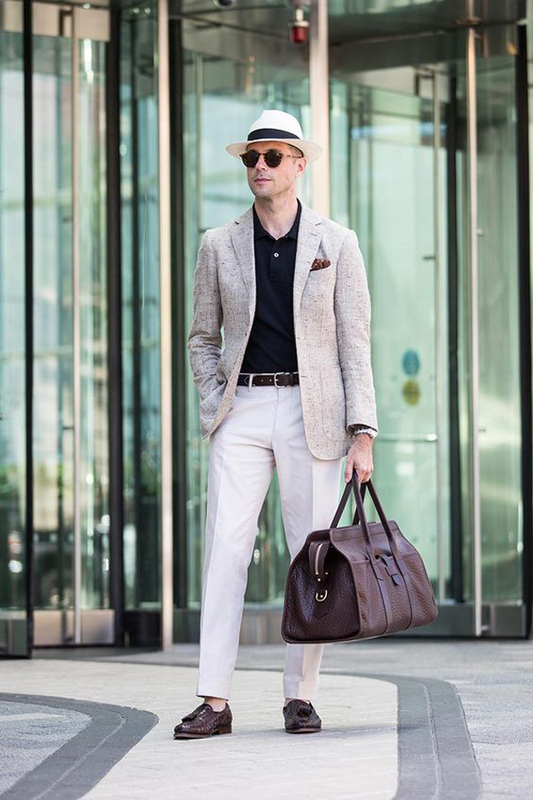 Airport style is not as difficult assumption men in general, and the best way to get the perfect airport style is to mix and match different types of fashion that suits your personal character. 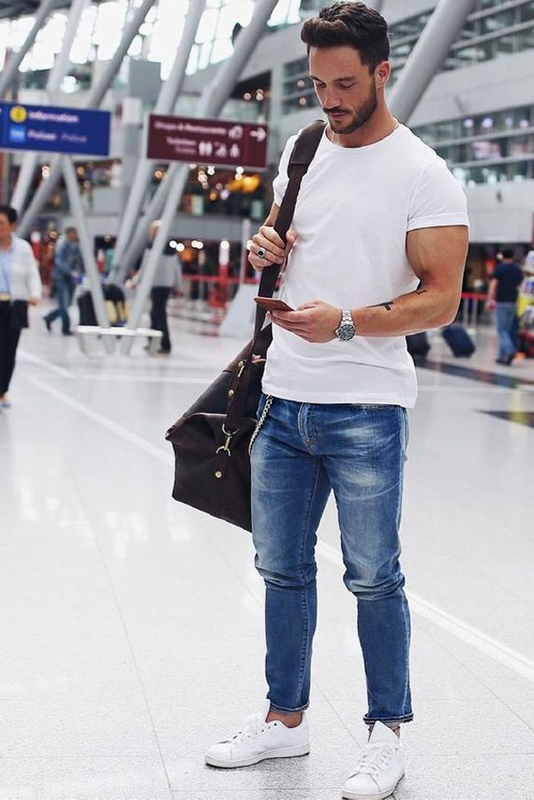 Casual look is very popular for airport man style, plain shirt with neutral colors such as black and white would be very comfortable with trousers or denim jacket. 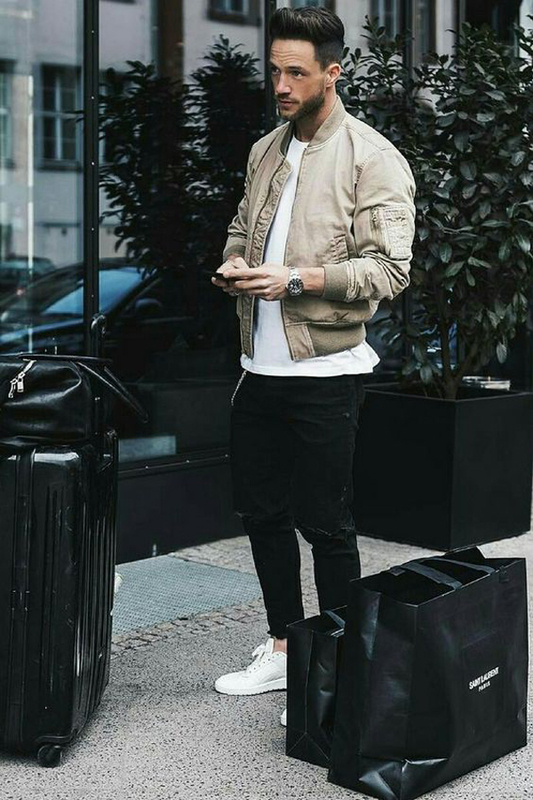 You can also look masculine with a choice of jacket or leather shoes are trendy, formal look with comfortable clothes or any style that makes you confident. 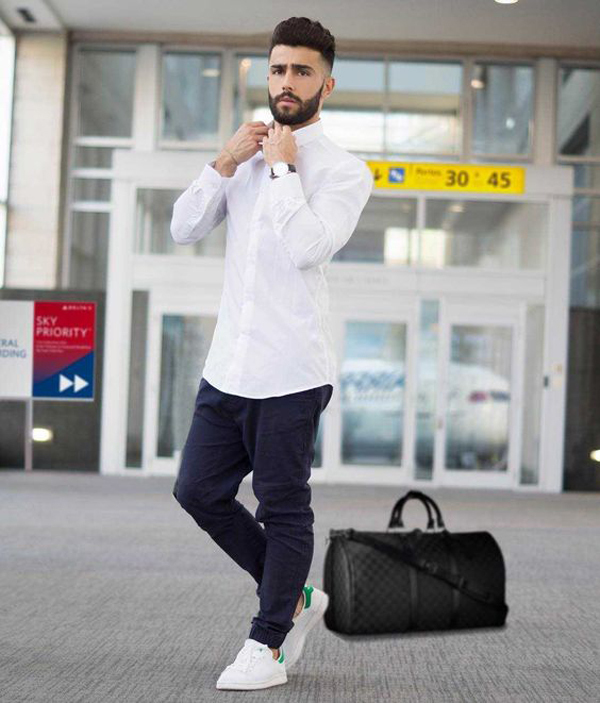 Travel bags will greatly support the style of the airport, not necessarily luggage, handbag or sling bag you can use to support all your appearance. 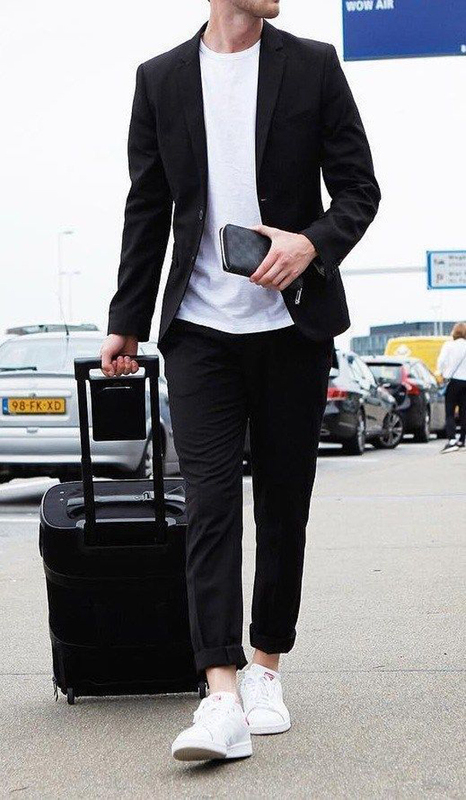 If you really need the coolest style inspiration before you catch the next flight, I’ve collected some of my favorite outfits. 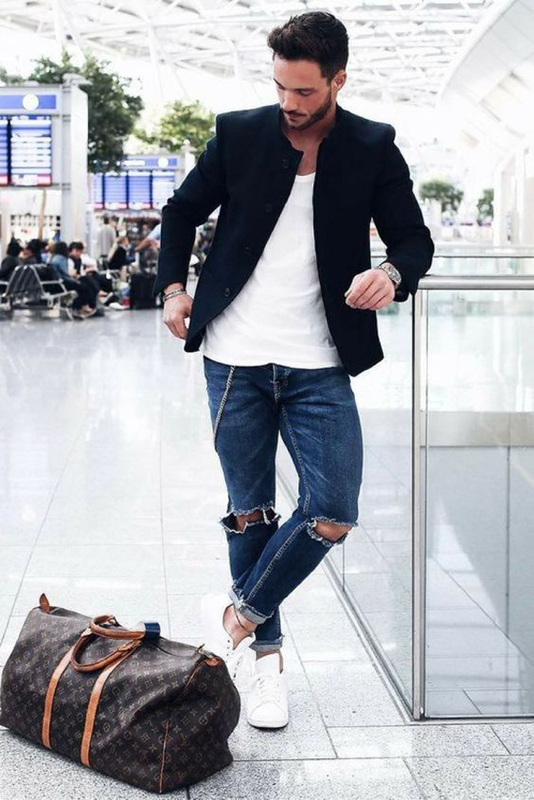 Scroll down to find the coolest and trendiest airport clothes ideas.